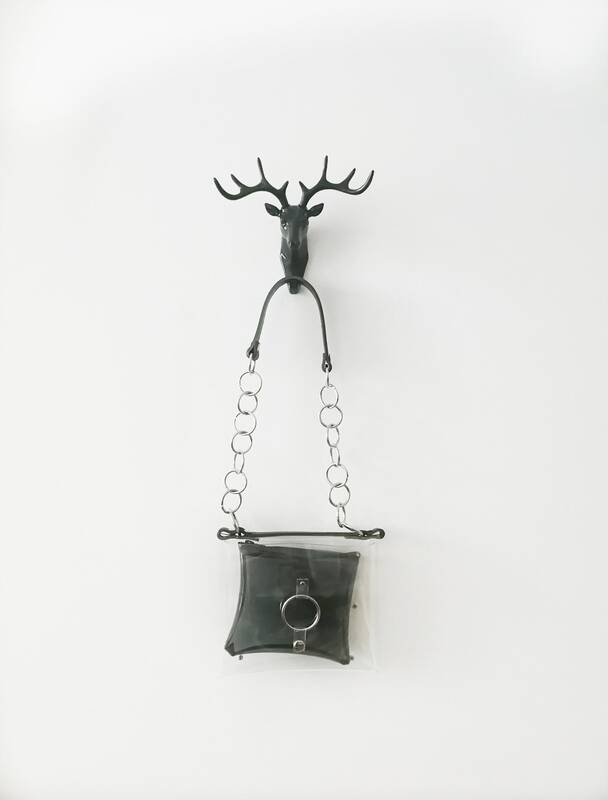 An unusual square-shaped bag with a sachet inside and an unprecedented chain with round chain elements. 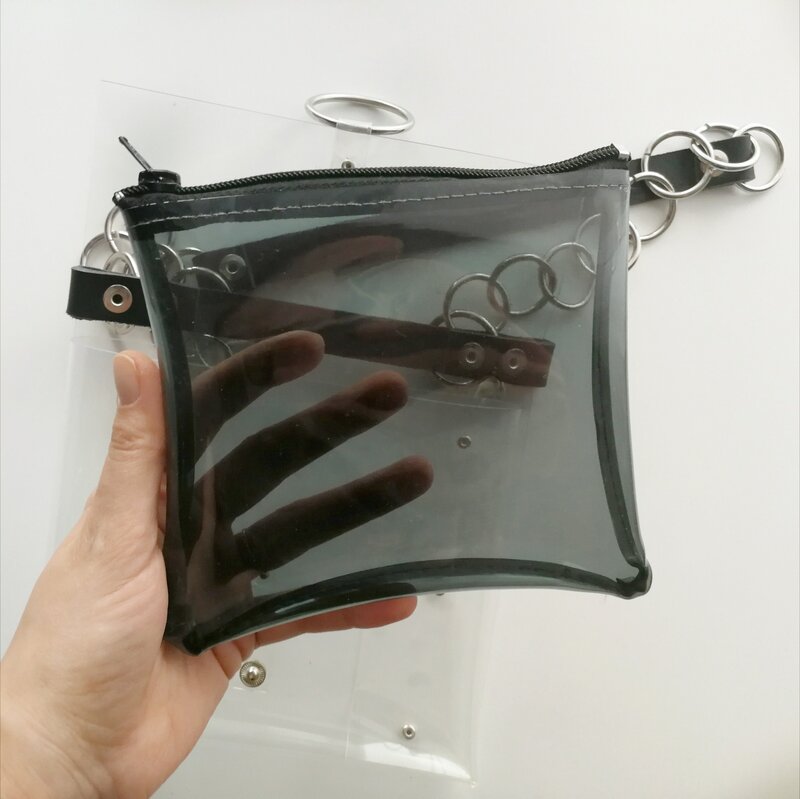 Sachet made of transparent-black plastic and black zipper. 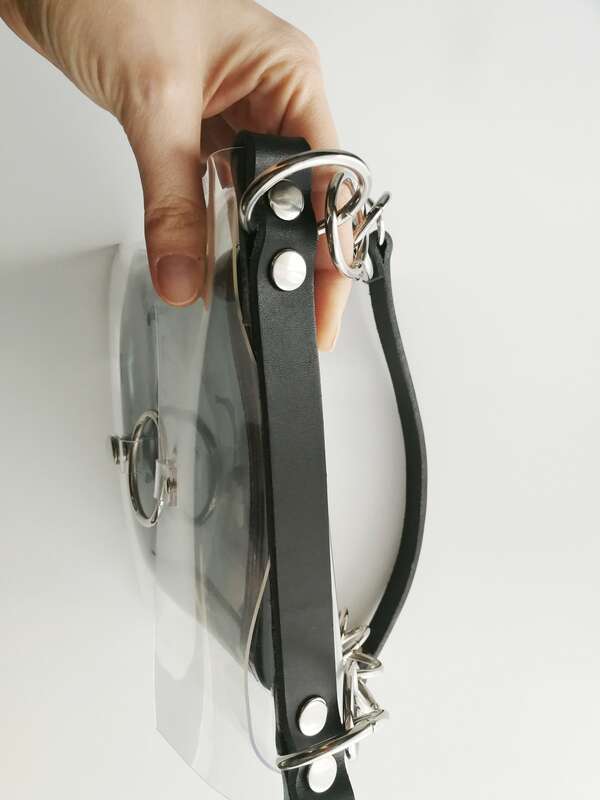 A bag made of elastic thick vinyl is a premium product. 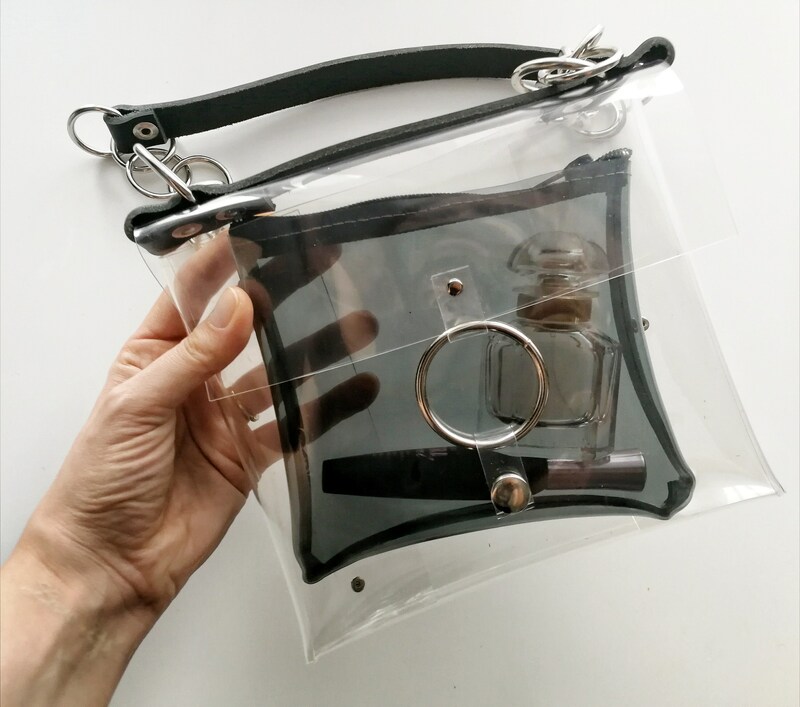 Medium transparent handbag with solid straps to my fascination with the universe transparent . 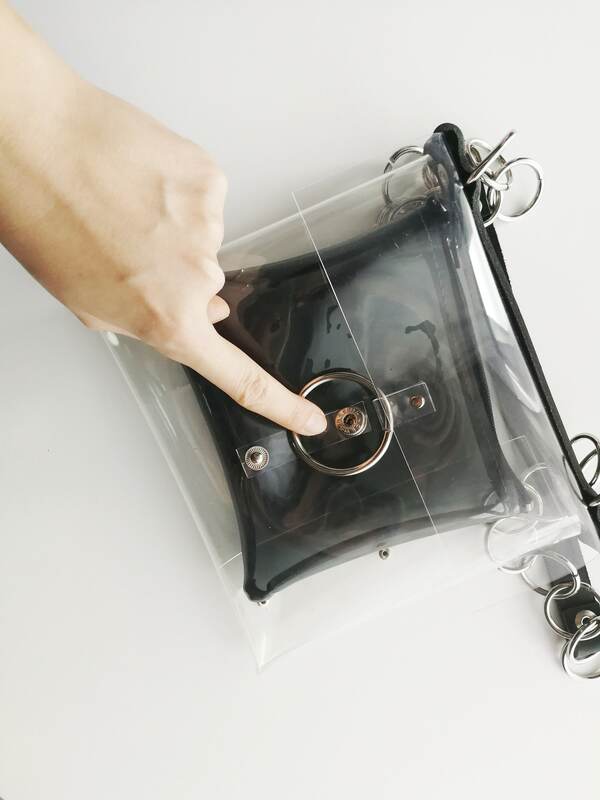 You can complete your harmony as putting some compatible things with your daily dress into the transparent bag and you are ready to go! It's also good when going through airport security.